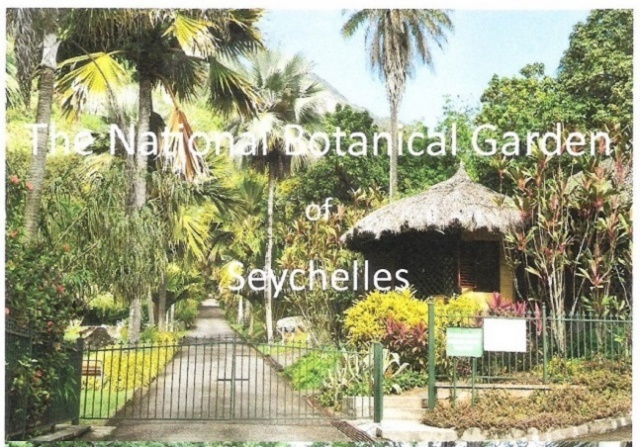 (Seychelles News Agency) - Visitors to the Seychelles Botanical Gardens can now gain a better insight into the plant community of the garden thanks to a newly published guidebook. Authored by Danish national Steen G. Hansen, the book entitled ‘The National Botanical Garden of Seychelles’ explores the biodiversity of the tropical plants of the garden. The book is on sale at the Antigone bookshop in Victoria, the capital, at $26 (SCR 350). The book focuses on the ethno-botanical aspects of the garden giving details of the origin and names of the existing plant and the level of global threat they face as well as how it can be used as food, medicine and in craftsmanship. “This nature book will give readers an insight of the international plant community. It is an environmental book which provides knowledge on the importance of conservation and what it is there left to be preserved,” said Hansen. The author added that the plants in the Botanical Gardens, located in the central district of Mont Fleuri, is very rich and important as they have rare qualities and some are unique to the place and the island nation. Established in 1901 as a botanical station by a Mauritian agronomist, Rivalz Dupont, the 15-acre garden is one of the Seychelles’ oldest national monuments. It was not until the late 1970s that the place was transformed into a proper botanical garden, which is now managed by the National Botanical Gardens Foundation. The Botanical is a living green heritage providing a quiet, green getaway with a 20-minute walk from the busy town centre. It is one of the must-see places in the 115-island archipelago in the western Indian Ocean for tourists and locals with a love for nature. Hansen said that due to climate change and other negative impacts on the environment, it remains a relief to find that such places like the Botanical Gardens still exist, where an array of plant and animal species are being preserved. As something new compared to his previous book collections, this new book has an appendix giving all the different plants in the garden since 2016. The book is printed in Denmark with its own exclusive photos.